This week I thought we’d take a look at emails. I’ve written quite a bit in the past about email on this blog (it used to be a massive pet peeve of mine) but I thought we’d revisit it again as a few things have changed in terms of both technology and attitudes. In this post we’ll discuss how they can be used to better effect and in my next post we’ll look at the joys – and myths – of inbox zero. Depending on where you look, we’re sending between 100 and 250 billion emails a day. Yes, I said BILLION. And that figure is excluding spam! That’s a lot of text flying around the internet. The question is, are we using it effectively or is it running our lives? Now that we all seem to have Blackberry’s, iPhones or Samsung Galaxy’s provided to us as work phones, there’s now no real excuse to miss an email. A lot of the time we’re expected to reply to it as soon as we’ve seen it, without necessarily having time to think of an appropriate response or gather our thoughts. Why do we use emails? You can format and structure an email in multiple ways – bullet points, fonts, attachments etc. Why shouldn’t we use email? Emails can be sent to way too many uninvolved people. Below, I’m going to go through ten simple ideas to help you respond to and use email more effectively. Hopefully if you start using these tips, then more people you correspond with will take up the habit too. Don’t be too wordy. Try to get the point of the email across in a short a space as possible. That way the recipient will know whet the email is regarding and can make a decision on how to deal with it there and then. If there are items I need to look at, bring them to the fore. Bullet list or highlight them. If this is an information only email, let me know at the top of it so I can file it to read later. Only copy people in to an email that have a vested interest in the subject. There’s no need to copy in an entire department when only 3 people are working on a project. No one likes to open an email and see 10 screens of blurb staring at them. Try to keep it as brief as possible so that people can digest the content and will find it easier to action items. Following on from being brief, have only one “big” subject per email. Mentioning monthly reports in with a client meeting and the fact that the cleaners contracts need looking at in one email is too much information even for the most organised brain to handle. It also makes trying to figure out how to file your email a complete nightmare so please stop it! If you send an email outside of work hours, even though we’re constantly connected, don’t expect someone to respond immediately. We’re all entitled to some personal time away from the office… and the phone. Also, the recipient may need time to digest the content of your email or only check email a couple of times a day. If you can reply within 2 minutes, just do it. Once it’s over and done with you can forget about it. The tone of how an email is read will vary from person to person. Just because you thought you were being constructive (or humorous) when moaning about a missed project deadline doesn’t necessarily mean the recipient will take it that way, they may take it as a personal attack. If you have something negative to say, do it in person. What do you think? According to some research, email can take up to 28% of a worker’s time. See this Infographic from Entrepreneur on interesting email facts. 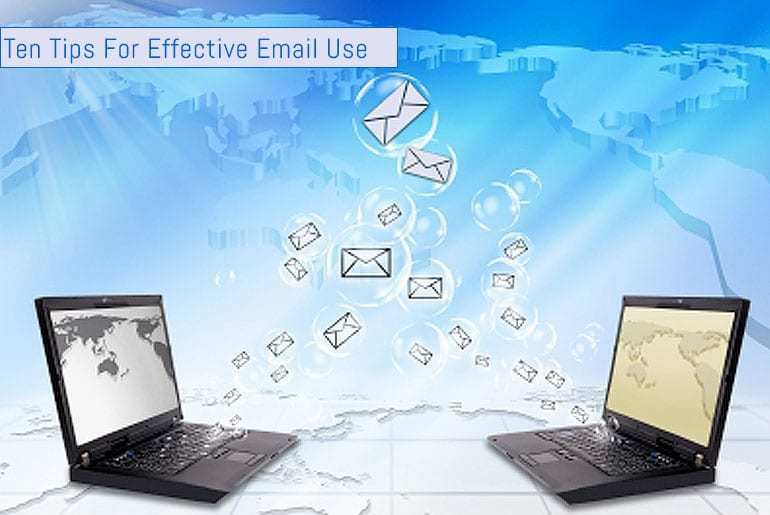 Do you think email is a brilliant business toll or a necessary evil?